Malwarebytes Anti-Malware detects and removes a new application called Tweakerbit Security Plus. How do I know if I am infected with Tweakerbit Security Plus? How do I remove Tweakerbit Security Plus? 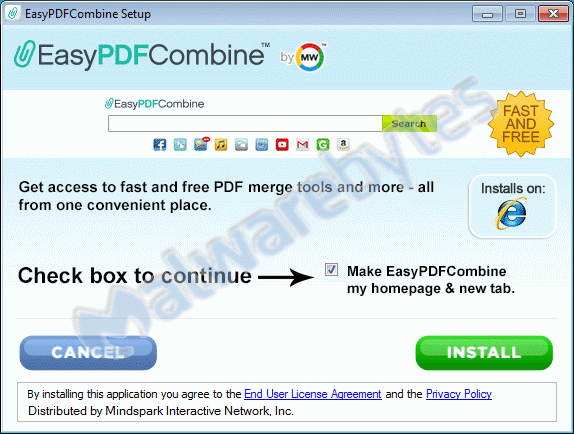 Malwarebytes Anti-Malware detects and removes a new application called EasyPDFCombine. How do I know if I am infected with EasyPDFCombine? How do I remove EasyPDFCombine? Malwarebytes Anti-Malware detects and removes a new application called Advanced PC Mechanic. How do I know if I am infected with Advanced PC Mechanic? How do I remove Advanced PC Mechanic? Malwarebytes Anti-Malware detects and removes a new application called Highlighted Words Counter. How do I know if I am infected with Highlighted Words Counter? How do I remove Highlighted Words Counter? Malwarebytes Anti-Malware detects and removes a new application called Search Privacy. How do I know if I am infected with Search Privacy? How do I remove Search Privacy? Malwarebytes Anti-Malware detects and removes a new application called BatBitRst. How do I know if I am infected with BatBitRst? How do I remove BatBitRst? 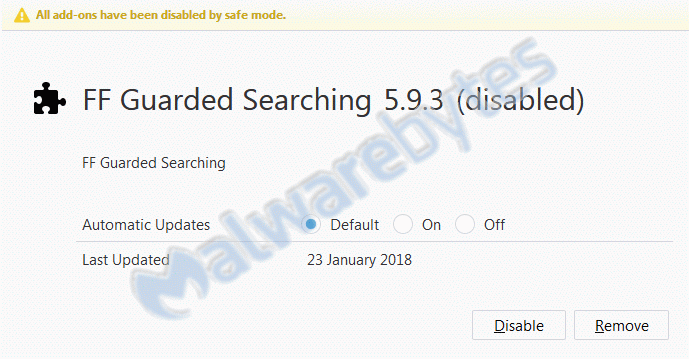 Malwarebytes Anti-Malware detects and removes a new application called FF Guarded Searching. How do I know if I am infected with FF Guarded Searching? How do I remove FF Guarded Searching? 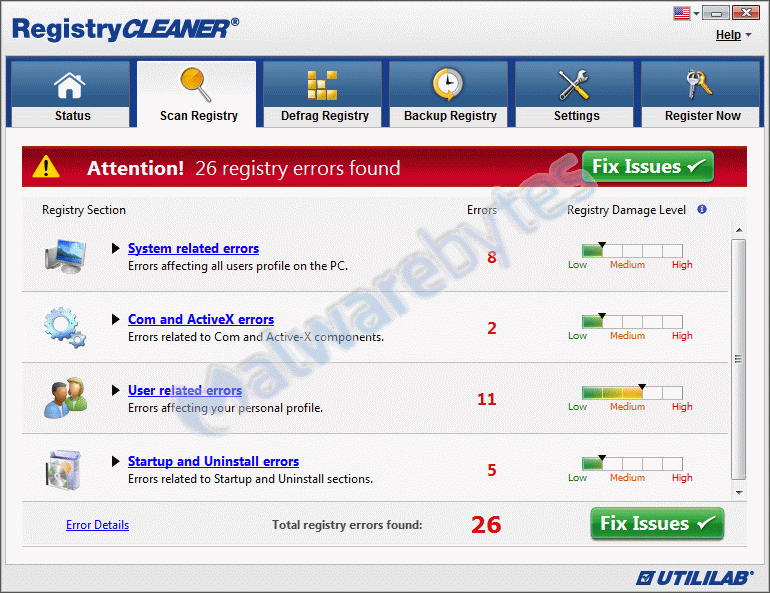 Malwarebytes Anti-Malware detects and removes a new application called RegistryCleaner. How do I know if I am infected with RegistryCleaner? How do I remove RegistryCleaner? 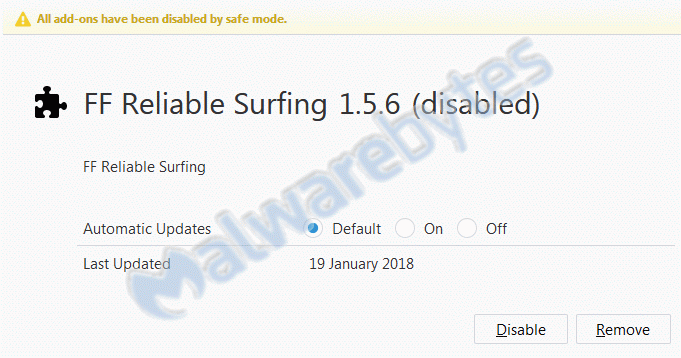 Malwarebytes Anti-Malware detects and removes a new application called FF Reliable Surfing. How do I know if I am infected with FF Reliable Surfing? How do I remove FF Reliable Surfing? Malwarebytes Anti-Malware detects and removes a new application called SearchApp – Entertainment. How do I know if I am infected with SearchApp – Entertainment? How do I remove SearchApp – Entertainment?